You may have heard of ZAGG because of their famous invisibleSHIELD cases, which we reviewed last year. What you may not know is that ZAGG has an entire lineup of multimedia products with headphones, speakers, a portable battery pack, and even a multimedia set-top box, the ZAGG box. Today, I’ll be focusing on ZAGG’s set of completely digital portable USB powered speakers which don’t even need a power supply. Sound interesting, but does it offer enough bang for the buck? Read on. Getting the USB speakers up and running is a very quick and easy task. The set-up required no more effort than plugging them into a computer’s USB port and switching them on. Some computers, however, ran into an issue where the system did not immediately detect the speakers. I had to use the control panel to switch audio cards settings to use the USB audio device in favor of the default card. After this one time set-up, there is no need to ever return to the control panel. From this point on it is very convenient to switch between various devices. If the speakers are on, audio plays back through them. When off, even if still plugged in, audio will playback as normal through your laptop’s built-in speakers. The only other major drawback might be the fact that most programs need to be restarted for it to detect the switched output device. For example, iTunes is unable to switch to the ZAGG speakers without closing and opening the program first. It is a minor inconvenience, but still removes the hassle of having to switch physical cables. 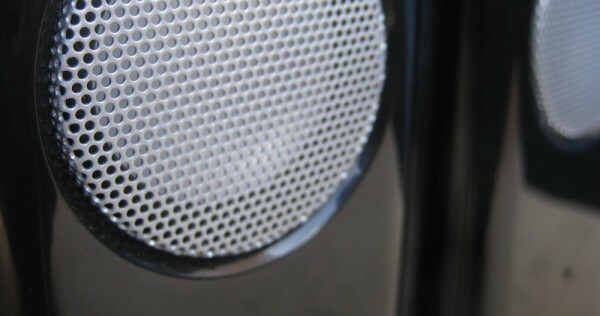 If simplicity is your taste, these speakers will be great. 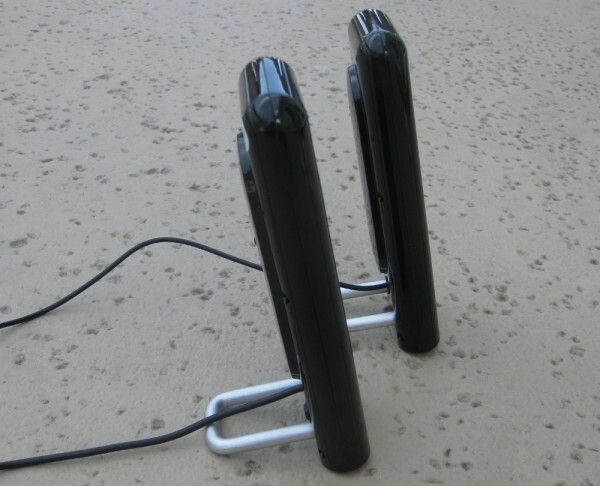 They are two glossy black slabs with nothing more than a small blue indicator light and a silver speaker grill on the front. 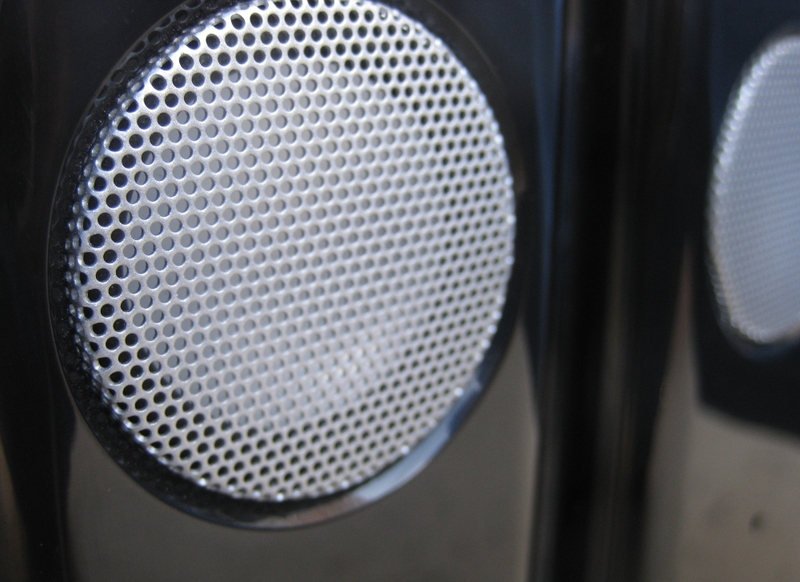 A steel “U” shaped stand inserted into grooves on the back of the speakers holds them up. The back has nothing more than a power button, volume toggle, and the audio out port. The speakers stand out with their unusually tall body. The speakers are of excellent build quality without any signs of physical weakness. This also makes these speakers great travel companions; they are lightweight and will not break. Finally, the speakers feature one USB cable that draws power and audio from your computer, eliminating the hassle of having to carry around a power supply My one complaint is the length of the speaker-to-speaker audio cable. It’s so small that it hardly reaches across my 14 inch laptop. Fortunately, it’s a small problem that can be fixed with an audio extension cable, but it’s irritating to deal with. 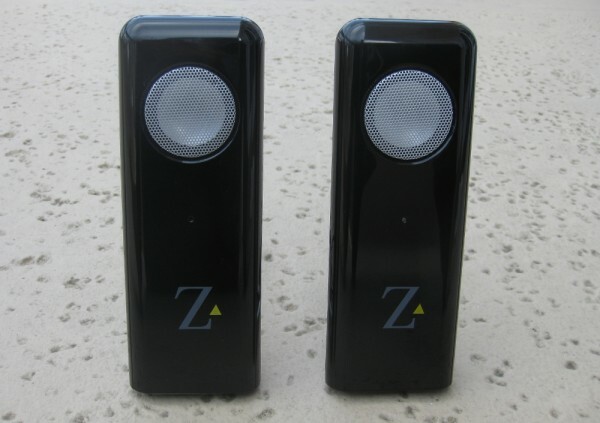 In comparison to the average laptop speaker, these ZAGGs perform surprisingly well. They will not get as loud as a dedicated set of 2.1 stereo speakers would, but they are still impressive. I was glad to find that these do not crack at maximum volume either. Considering the size and the portability of the speakers, the bass is quite deep and will not leave you unsatisfied. If you are trying to playback music for a large room, these probably aren’t the best choice. However if you are looking for speakers to use while traveling, in a dorm room, or for a few friends to enjoy a show on Hulu, these are great. These are best used as a replacements or an upgrade for internal laptop speakers, nothing more. The fact that the speakers are USB does not necessarily translate to better audio quality, but simply greater convenience. The ZAGG speakers aren’t exactly extraordinary for their price. They get the job done when it comes to offering a quick upgrade to an internal set of laptop speakers, but nothing more than that. If you are willing to invest a little more money, you should consider superior alternatives from Creative or Logitech. Their speakers include a dedicated subwoofer and vastly improved audio quality for around the same price. However, keep in mind that ZAGG’s solution is one of the few USB solutions on the market. It also comes packed with a travel case, making it easy to lug around on a trip. For those ready to make the purchase, these speakers cost $35 on Amazon.